Time to sell? Read about today's buyer. 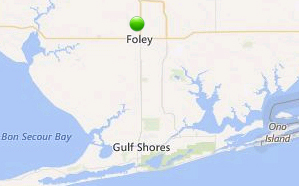 Rosetta subdivision is located just North of downtown Foley, AL off of highway 59. The homes are very close to numerous local restaurants, shopping outlets and entertainment venues. With the new Foley Beach Expressway connecting I-10 to Orange Beach, AL travel throughout the area has gotten much easier. Rosetta subdivision is approximately 20 minutes from the beaches and the Gulf Shores Hangout. Please let us know if you would like additional info such as, pictures, subdivision bylaws, recent sales figures by emailing info@condoinvestment.com or call (251) Area-Pro (251-273-2776) for immediate assistance or to schedule appointments to view current listings in Rosetta or other properties in the area.